A product excellent for lawn that needs enriching and leveling. 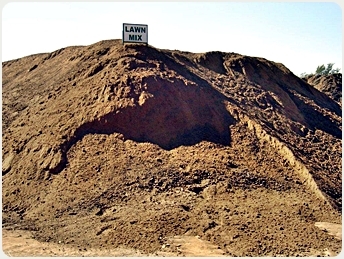 A finely sifted mix of kraal manure and topsoil (2/3 Topsoil, 1/3 Manure). Take care not to smother your lawn; you should still be able to see the lawn blades. Water it well so that the manure won’t burn the lawn.